Charged with Insurance Fraud in Florida? If you are facing allegations of filing a fraudulent insurance claim, staging a car accident or fire, or reporting property as stolen when it was not, you could be charged or arrested with insurance fraud. This is a serious charge and you could be facing possible jail or prison time. If you have been charged with insurance fraud in Orlando or anywhere in Florida, you need to get serious about your criminal defense. At The Umansky Law Firm, our Orlando insurance fraud lawyers understand how the State of Florida investigates and prosecutes white collar crimes like insurance fraud, forgery, real estate fraud and other related charges. We have access to expert resources when that’s needed to help us defend our client’s case. At The Umansky Law Firm, we want your legal problem to be resolved as soon as possible, with as little effect on your life and career as possible. If you suspect an investigation is underway for insurance fraud and that you are a target, speak with a fraud lawyer at our office. We may be able to negotiate more favorable options for you. Never Been in Trouble with the Law Before? Many of the people we work with have never been arrested before. They are understandably stressed and worried about their future. You can count on us to communicate with you at all times. We will work with you to decide on a strategy. We will tell you of any plea offers. And we will work tirelessly to try and resolve your case without a prison or jail sentence. Facing Insurance Fraud Charges in Orlando, FL? 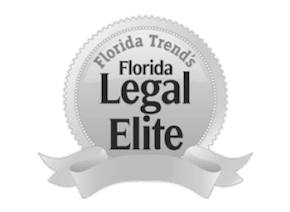 If you have been charged with fraud, forgery, arson or any other kind of crime related to insurance fraud, our attorneys will defend you vigorously in all Central Florida courts. Contact our Orlando law office day or night for a free consultation with a fraud defense attorney at The Umansky Law Firm.